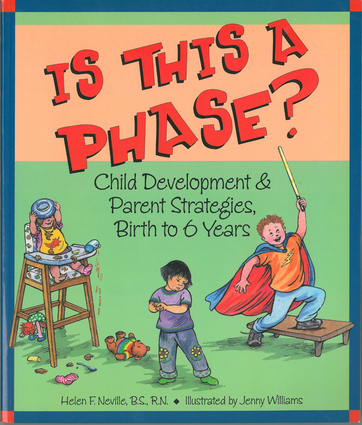 Written with concise descriptions and dozens of charts and graphs that will make it quick and easy to use for both fathers and mothers, this reassuring guide explains what to expect at every developmental stage between birth and age six. It then walks parents and caregivers through three dozen topics common in the first six years of life: everything from attention span and impulse control to death, divorce, and the red flags that signal reading readiness issues. This is a must-have reference for every nursery. Helen F. Neville, BS, RN, is a nurse and a parent educator. She is the author of What to Do About Sleep Problems in Young Children and a coauthor of Mommy! I Have to Go Potty! and Temperament Tools.Jenny Williams is a former commercial artist, working on advertisements, fashion, magazines, and book jackets. She is the illustrator of 25 Things to Do When Grandpa Passes Away, Mom and Dad Get Divorced, or the Dog Dies.